After a safe flight down with Virgin Atlantic, Henry and I found ourselves in Hong Kong in the late afternoon. It was Henry’s first time in the urban jungle and we wanted to see as much of the city as we could before flying out again in just under 24 hours time. We grabbed a Tesla uber to our hotel, The Mira Hotel. The hotel is in the Mong Kok district and conveniently, centrally located in the heart of the city. The design of the hotel sets it apart from other 5* hotels in the city and this is evident from the moment of arrival. No detail is to small, and nothing has been ignored. The buzz of the city keeps you awake, despite any jet lag you may be feeling, or think you may be feeling. This was certainly true for us! We dropped our bags and headed straight to Hong Kong harbour for the evening light and laser show, just a 5 minute walk from The Mira through Kowloon Park. 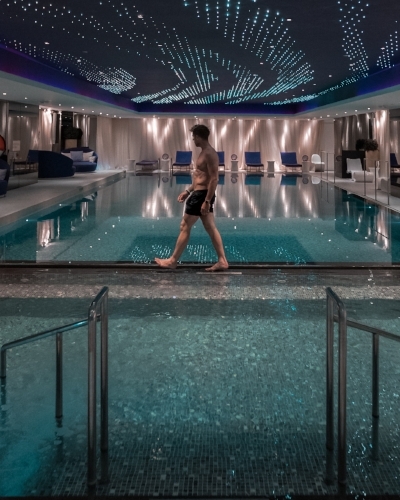 Following the electric show, we returned to the hotel and enjoyed a relaxing evening by the indoor pool and jacuzzi, which is simply stunning. The facilities are state-of-the-art and so quiet for a hotel with over 400 rooms! We headed to bed with alarms set for 4am so we could wake up and be up Victoria’s Peak before sunrise. One of the best parts of Instagram is the community. We were fortunate to meet Irvin, a very talented young photographer from Hong Kong. He was kind enough to be our guide for the day in Hong Kong and took us up Victoria’s Peak for sunrise. 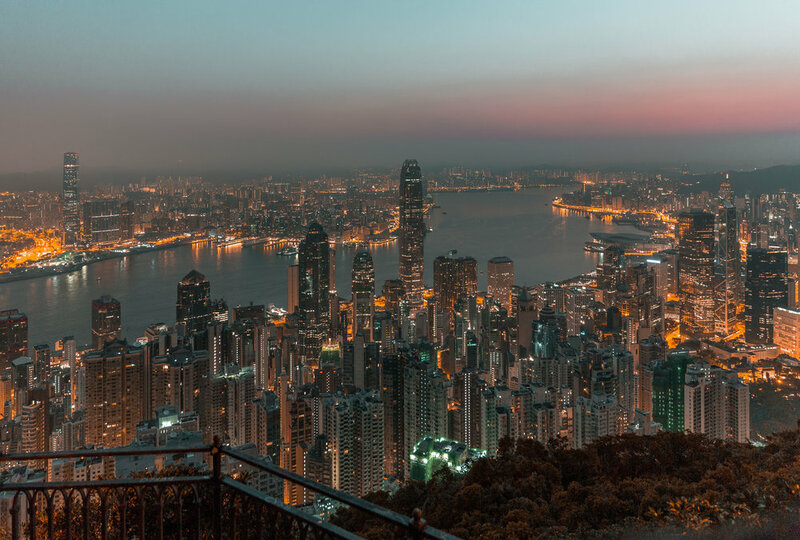 The views from the peak are unbelievable, it is a chance to take in the scale of the city and become aware of just how many sky scrappers the city boasts. 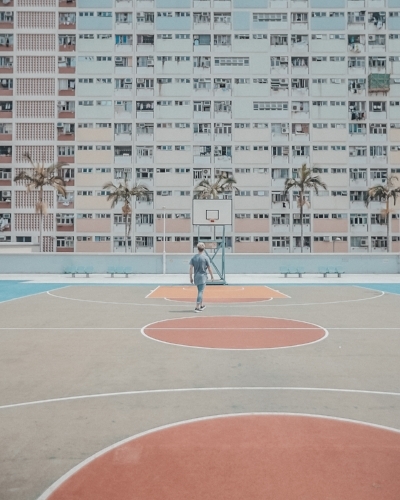 Our next locations were Quarry Bay and the iconic rainbow residence. Two spots we had both seen numerable times before Instagram. Two classic Instagram hot spots, which are even more impressive in real life! Following a busy morning of photography, and serious neck ache after looking up for so long at Quarry Bay, we headed back to The Mira for a Michelin-recommended lunch at cuisine-cuisine. Our 24 hours were running out after lunch and it was time to pack up and head to the airport again! The XPO Creatives team were hosted by The Mira hotel. We would like to extend a big thank you to Jakub from The Mira, who hosted us so well.